The quiet achieving suburb of Lutwyche, just 5 kilometres north of Brisbane’s CBD is set to host another boutique residential development by Urban Living Homes. 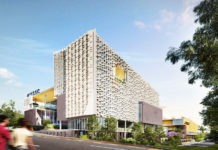 Known as Precinct, the 53 unit development is situated across the road from the new underground Lutwyche Busway Station – part of Translink’s Northern Busway, and features modern architecture and quality fittings throughout the 1, 2 and 3 bedroom apartments. 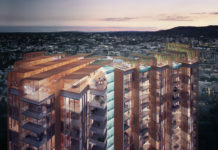 Residents will also enjoy an expansive rooftop barbeque and recreation deck perched high up on the building’s rooftop with views towards the city and mountain ranges to the west. 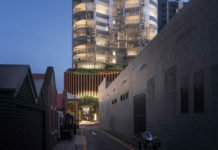 CBRE Residential Project’s managing director Paul Barratt said the complete sell out of Circle on Felix Lutwyche proves that Urban Living Homes has created a winning formula. “It’s about creating a good honest development where all buyers see great value across the entire project. “This was apparent in Urban Living Home’s Circle on Felix – a 30 unit development also in Lutwyche which is nearing completion. One bedroom apartments at Precinct are priced from $310,000, with two bedroom’s priced from $378,000 and three bedroom apartments from $530,000. Architect Hayes Anderson Lynch has incorporated Queensland’s tropical but dynamic modern style into the design by using signature coral patterned screens, adding visual interest as well as privacy to selected indoor-outdoor living zones. Inside each apartment, designers have struck a chord between fluid open plan living and expansive view-filled outdoor areas. Featuring European stainless steel appliances and luxurious stone benchtops, each apartment is planned with a contemporary character throughout. The Precinct display centre is located at 50 Lamington Avenue, by appointment only. The project is being launched on the 14th of September. 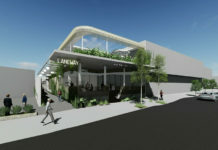 Call 1300 736 288 now or register at www.precinctlutwyche.com.au to book your appointment today.